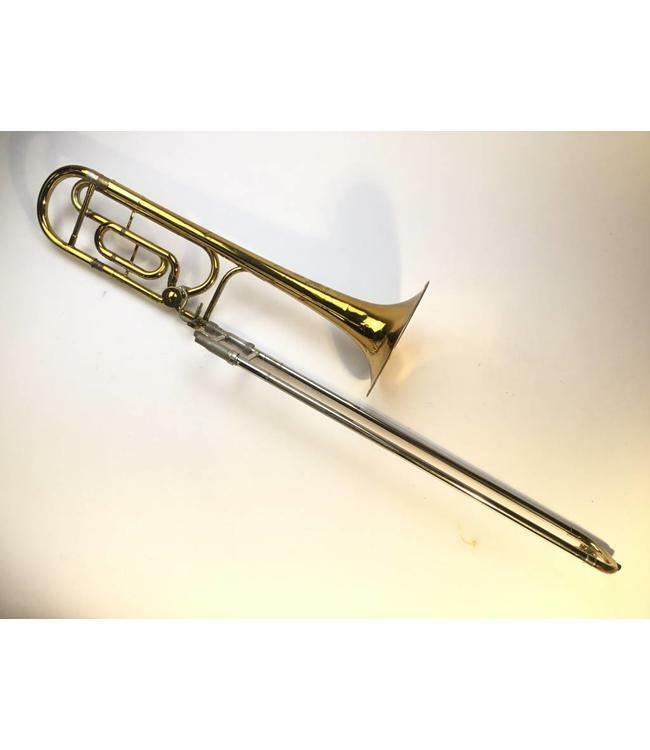 Used King 4BF "Sonorous" tenor trombone with 8 1/2" yellow brass bell, rotor valve F-attachment, and nickel .547" bore hand slide. Instrument is in good condition apart from lacquer wear and minor dings throughout. Comes with Protec case and stand.